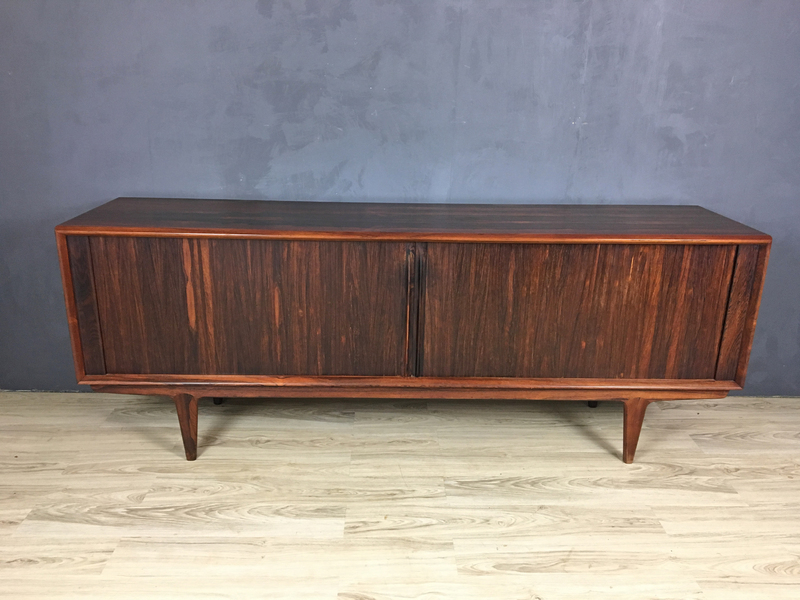 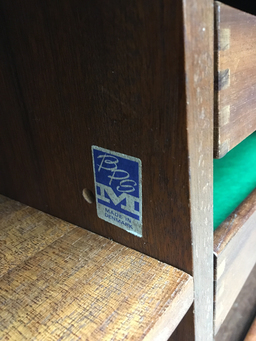 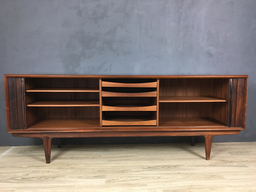 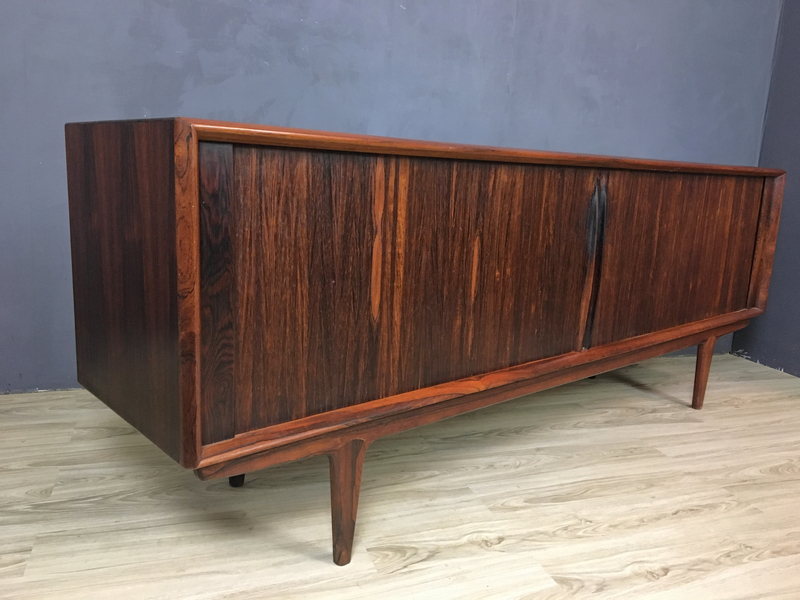 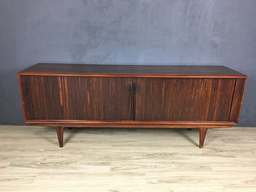 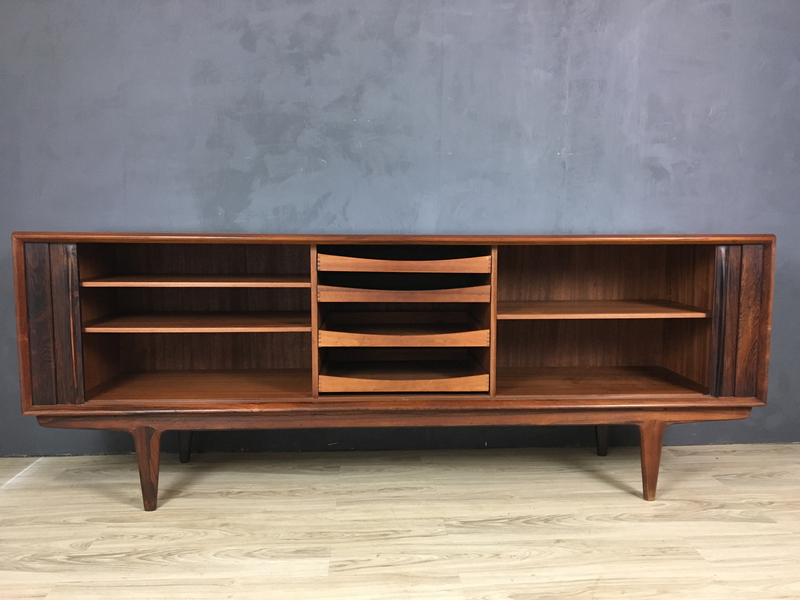 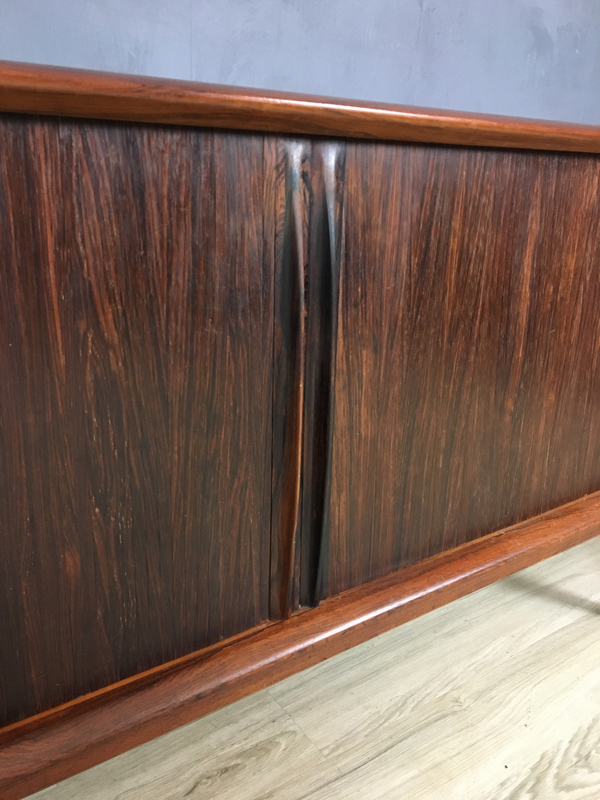 Danish Bernhard Pedersen & Son rosewood tambor door credenza circa 1960. 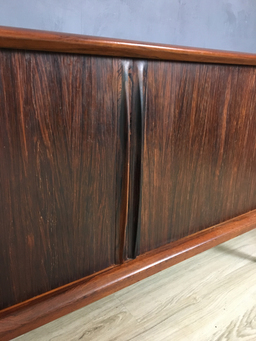 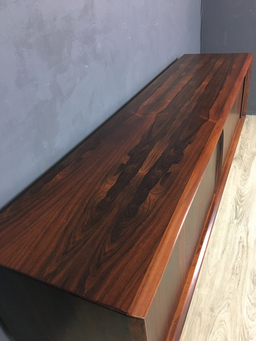 This stunning sideboard features tambour doors that are so well made that the grain on each slat is matched to the next so that they are barely disernible as separate pieces. The doors disappear elegantly inside the cabinet when open. 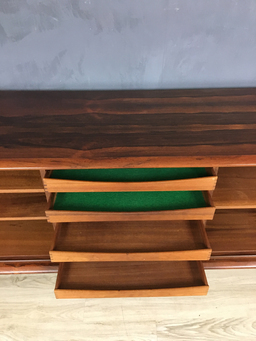 Tons of storage is provided with a central bank of four pull-out drawers and adjustable shelving on the sides. 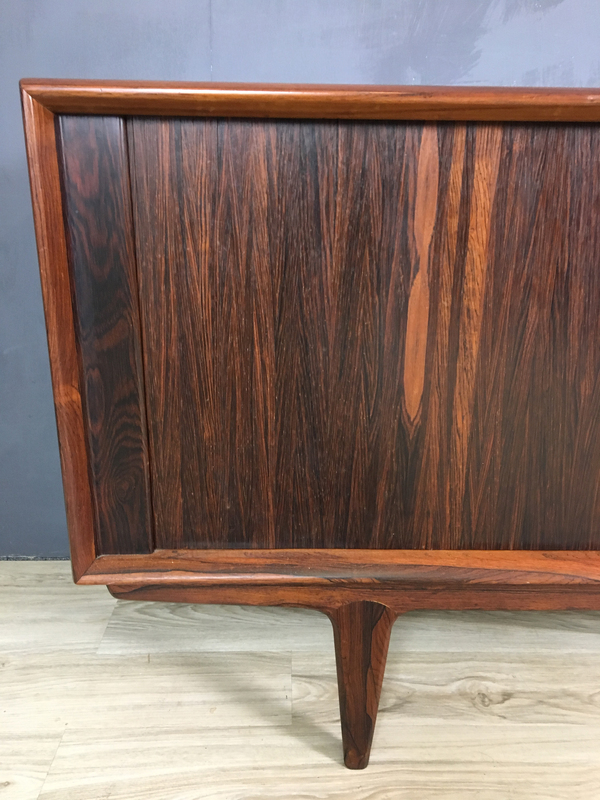 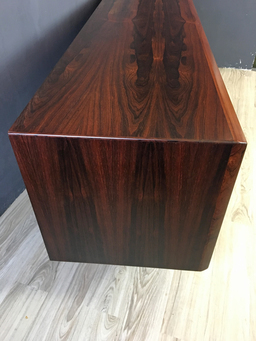 In excellent condition except for some areas of raised veneer on the top which is not overtly noticable; the piece is priced accordingly.